Living in a rural area means you likely have limited access to companies that can provide small engine repair in Minden. When getting equipment repaired means driving a minimum of 30 minutes, that is not only inconvenient at best, but dangerous as well. Access to a company that can keep machines at a premium functional level is critical. For services like this Greg’s Small Engine Service and Repair technicians are prepared to help. Minden is a rural area as are its neighboring towns of Genoa and Gardnerville. We are not blind to this fact and see the need to bring our expert services to as many people as possible, rural or not. In order to achieve this, we provide mobile repair. We are prepared to bring our skill set to you. An innate part of what the company holds value in is giving our customers access to our expert technicians without having to sacrifice their own convenience. Our technicians are prepared to work on almost any project on site. Greg's is also a locally owned and operated business. Greg Tenbroeck dreamed of owning a business that would serve the region he is native to with the care and expertise it deserves. From that time on, he strove to build a company that would do just that. As Greg’s Small Engine Service and Repair grew, so too did the services we provide, the areas we serve, and our faithful following of happy customers. We strive to have unmatched customer satisfaction and superior results. We offer many services in Minden. While our list of services may seem comprehensive, we always suggest people call us and speak with a customer service representative with any project needs. Our goal to help any customer in whatever way we can. On the rare occasion that we can’t fulfill a client’s needs, we are connected to a network of providers and can refer you to someone that can help. We want to see every project come to a successful end. Particularly in our area, the “polar opposite” seasons and harsh realities of summer and winter make equipment maintenance imperative. Since we have our hand on the pulse of these demands, our technicians can set up a maintenance schedule to ensure that every machine works at its peak level for the duration of the season. We can also help prepare winter devices for summer storage and vice versa. Properly maintaining equipment is the best way to ensure they have a long life where they work properly for you every time you need them. 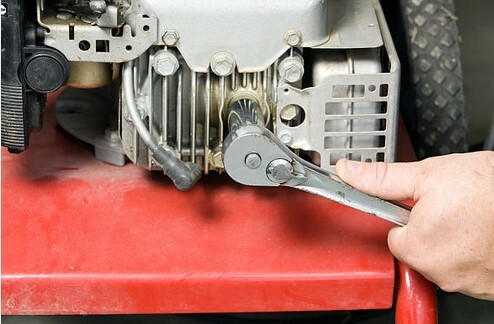 Additionally, after an initial diagnostic is done, a technician may find that the small engine equipment requires more work than can be achieved on site. If this is the case, we are willing and prepared to pick up and drop off any machine. We want any inconvenient task to be handled by our team in order to save you time. To best serve our clients, we also cover a wide selection of brands. From Ariens to Champion and White Machines, we can do it all. Our technicians have spent much of their careers fixing as many machines and brands as possible. Making them able to serve our customers in the most knowledgeable way possible. 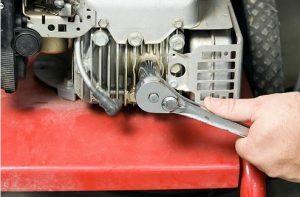 Because of this experience with nearly every make and model of small engine equipment, we can save you time and money by being the only place you need to contact with your needs. Don't hesitate to contact Greg’s and see why we are the epitome of excellence for small engine repair in the Minden area. We want every customer’s experience to be as easy as possible. We don’t want customers to sacrifice their time and receive potentially inferior service for a more expensive price tag. At Greg’s we want you to have all the benefits of a locally owned and operated business.